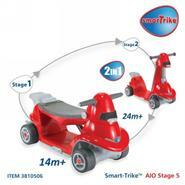 Smart Trike is not only offers a sleek, innovative design that is sure to be the talk of the town, the multi-functional use saves new parents money. 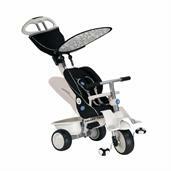 The Smart Trike starts out as a stroller for walks around the park, complete with bucket case on the back for storage, a visor to keep the sun off your child and cup holders for mom or baby. 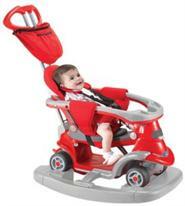 As the child grows older, the stroller can be changed into a rider for mom to push while the baby plays with the pedals up or down depending on the child's age and ability. 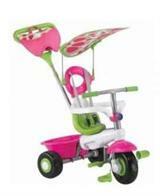 At 36 months, the Smart Trike can be changed into a tricycle to be enjoyed as a great learning tool for hand-eye coordination. 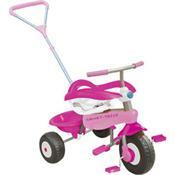 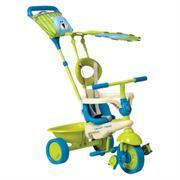 Each Smart Trike offers its own design style and number of functions and is sure to be on every new parents wish list. 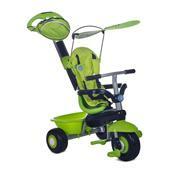 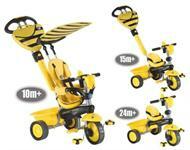 Smart Trike Safari available in 3 color options.